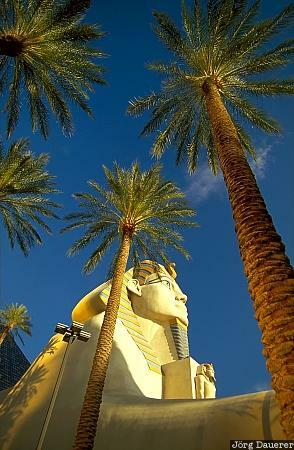 Palm trees in front of the Luxor Casino in Las Vegas, Nevada illuminated by soft morning light. Las Vegas is in southern Nevada, United States. This photo was taken in the morning of a sunny day in May of 2002.